DELUXE RED JEWELRY BOX by Accent Plus home decor, jewelry, decor, decorations, electronics, fountains, floor mats, art glass, vases, garden essentials, fireplace screens. 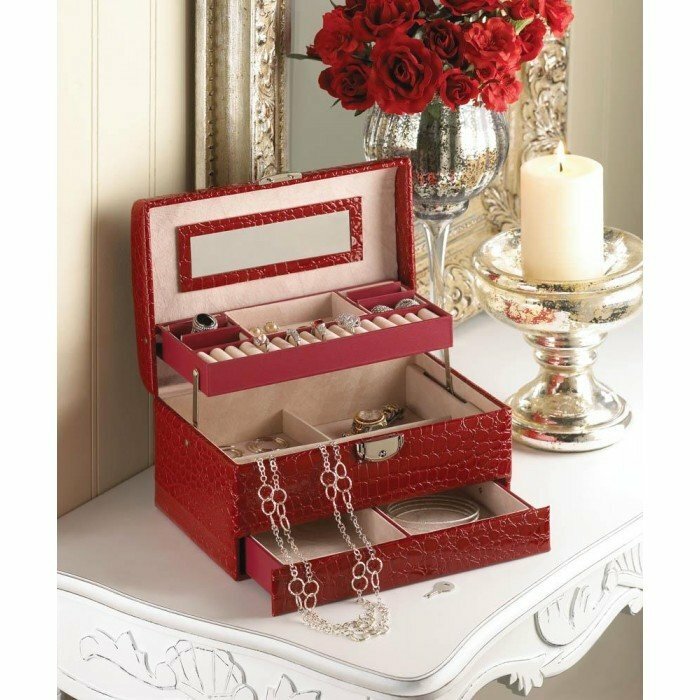 Looking for a jewelry box thats as beautiful as the jewelry inside? This is it! This deluxe multi-level case is finished in glossy deep red faux snakeskin and features a matching top handle and a bold metallic clasp at the front. Material(s): PVC INNER FELT LINING. Weight 2.4 pounds. Dimensions 9.5" x 6.5" x 6".